For a simple toe in alignment, provided the steering wheel is centered pretty close to center. 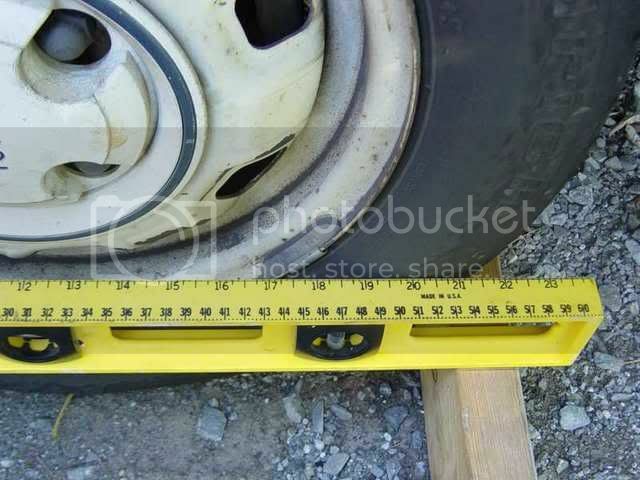 Place a 6-8' 2x4 behind the front wheels up against the backside of the tires. 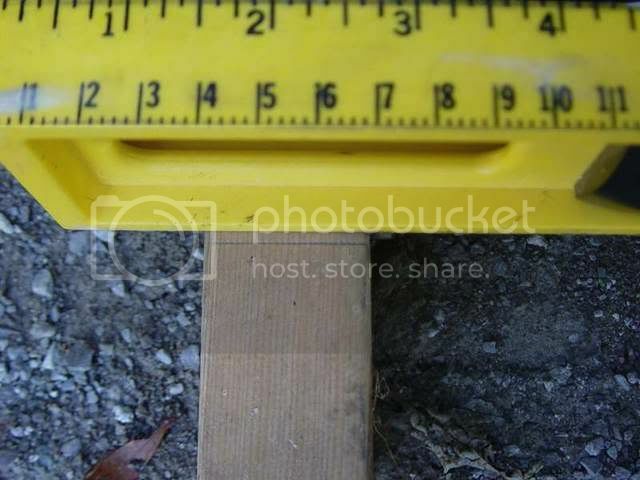 Place a straight edge (I prefer a 2' level) across the face of the wheel and mark the 2x4 where it crosses. Do both sides without moving the 2x4. The difference is the toe in or out. If the steering wheel was centered to begin with, then adjust both tie rods equally until the toe is right. If the steering wheel was off just a little to the right (pulls left) but the toe is correct, lengthen the pass side tie rod, shorten the drivers side equally. Do about a quarter turn each time and recheck. Opposite for pulling right. If the steering wheel pulled left and toe in was too much, lengthen pass side. If toe was out, shorten drivers side. Opposite for pulling right. If things are way off, I put a long 2x4 across the face of the front tire so that most of the 2x reaches the back tire. With the steering wheel centered, I adjust the tie rods until the 2x is almost touching the rear tire, then do a toe in. For camber, I roll the car on level ground for a few feet, then put a level on the tire vertically. Pull the top or bottom of the level from the tire till the bubble is centered. I think its about a notch on the strut for each 1/4" or so. Check after each adjustment. if you look closeley (might have to chip away at the mud or hydralic shock oil on it) you'll see little lines on the stut to set caster with, give yourself a little extra negitive camber (tops of the wheels closer together) for better traction around corners. keep in mind excessive negivive camber will hurt your straight line stability. toe out will give you better turn-in response at the expense of straight line stability, toe in will do the opposite. me personally, I like to have a little extra negitive camber, and a little extra toe in, this gives me good traction around corners, but dosn't sacrafice my stability on the freeway. my turn in response won't be great, but I live with it, besides, its not a dedicated track car. if you want long tire life and good fuel economy, set everything to zero. "Toe-in specs for the '83-'84 Tercel 4WD wagon are 0 to + or - .040". This means that at the tread surface of the tires, the DIFFERENCE in inches BETWEEN the tread on FRONT of the tire and the tread on the BACK of the tire at axle level should be from -.040" (toe-in) to + .040 inches (toe-out). This is from one front tire to the other." Your method is pretty good...simple to setup and use. The only improvements I can think of would be to try and place the 2X4 at the TREADS of the tires (front and back)...since that is where toe is measured from in inches. If you are going for zero toe...it doesn't matter though. The only other problem might be the sidewalls of the tires being unevenly bulged or the raised lettering on some...usually the wheel surface is more accurate as far as runout. I just used the laser method on my truck...but realized I was mostly wasting my time since it was way off...which I could have seen by sighting along the edges of the tires front to back. Another method is to tie a string around the car from the back to the front and to the back again on the other side. This only works if the track is close to the same front vs the back...and if the tires are far enough out from the fenders for the string to clear. I'm not a Dr. of Alignment...I only play one on the internet. Mac, I do that too. BTW, I never had trouble seeing the marks on the strut. I must have done it right after a rain or something. Takza, I exaggerated the difference for the pictures, they were not from an actual alignment. You can't measure the difference at the axle level, but at 4" above the ground, you are only about two inches away from the maximum diameter. The 2x is up against the tread of the tires. It is high enough to avoid the bulge of the tire. Most tires have a rib at their widest point so lettering does not interfere. On larger vehicles, I use a 2x6 if it will fit under the vehicle. I tried this method on my truck...worked like a charm. With this truck, I do need to use a 2X6 or 2X8 instead of the 2X4....gets the wood out nearer to the tread where you need to measure the toe. Do need to watch any sidewall irregularities like some of the bulges and lettering you see with some tires. I'm going to use this method as a preliminary check before I do the laser alignment...and if they agree a lot...I might stop using the laser. I'm still using the hanging laser method...seems to be the easiest and is reasonably accurate. takza wrote: I'm still using the hanging laser method...seems to be the easiest and is reasonably accurate. I think (KNOW) I would take my car to a shop using real alignment (lasers, computer, precision) equipment to make sure it was done correctly. How close is "reasonably accurate" when it comes to your car's handling and tire life? Will your savings between a pro alignment using Hunter or Accu-turn equipment and a Black and Decker laser level, tape measure, 2 x 4 and a #2 pencil be enough to offset the cost of replacement tires when they wear out quicker? If all you want is a toe adjustment many shops will do that for a lot less cost than a full alignment and then how much do you save? My 84 landed perfect with nothing more than a tape measure and torpedo level. Even before I verified it on a alignment machine, the 20k on the tires told the tale. And having been in the trenches with unqualified colleagues for too long I can tell you, just because it's in a "shop" doesn't mean it will be done right. It may even be worse(I've seen tie rod boots twisted to death,stripped/rounded bolts,etc.) Is the alignment machine calibrated/heads not dropped,hoist level? Also most shops will not charge "toe only" even though that's what you usually get. If it's menu priced like most shops do(39.95-49.95) you can count on it being hustled out the door as fast as possible. Real alignments charge by the hour. Now when they try to sell you a new front end before they will align it, that may or may not be needed, how much is saved???? On top of all that, most shops would probably be "booked solid" when a 25 year old tercel owner is on the phone. Surely you realize by now, most of us here are a frugal and handy bunch. I'm very picky about my cars and I treat them the same whether I buy them new to drive or used to play with. I don't believe it is within the capabilities of most people to do an accurate toe adjustment. I am not bashing anyone. I am simply expressing my opinions and I think they are as valid as anyone else's opinions, maybe more so because of my experiences. 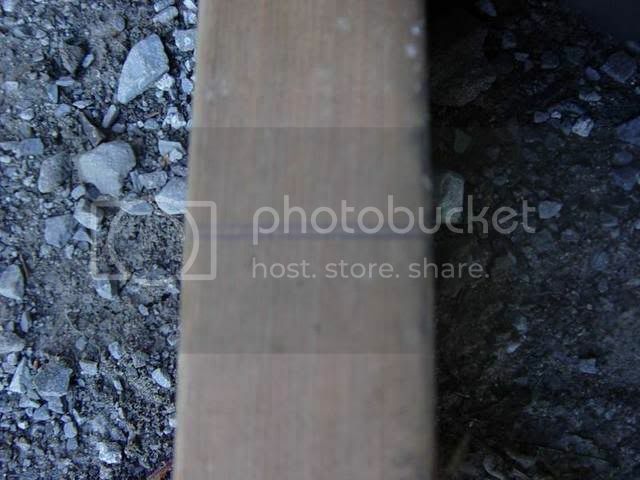 I have also seen where a carefully done "home" alignment can be as good or better than one done with fancy equipment. In the professional race shop we did the alignment on a $250,000 race car with a 170 mph top speed, done by hand with simple levels and measuring devices, stuff you likely already have in your own shop. And i too have seen a lot of poor work done by so-called "professionals" in retail shops, sloppiness and the time pressure does not mean they will do the job correctly. Do not be fooled by fancy equipment, it is only as good as the guy running it. If you have a limited budget, or like to "do-it-yourself", there is no reason a home job could not be as good as any "pro" shop might do. When I have mine done I stand there and watch the guy do it and double check his measurements, if I am not allowed to see it, than I will find another shop. I just do not want to take the time to do it myself, especially since I would have to clear out my garage to find a level slab (we have a gravel driveway). Ron B. wrote: I'm very picky about my cars and I treat them the same whether I buy them new to drive or used to play with. I don't believe it is within the capabilities of most people to do an accurate toe adjustment. I am not bashing anyone. I am simply expressing my opinions and I think they are as valid as anyone else's opinions, maybe more so because of my experiences. I've had two of mine validated on an alignment machine, both were dead on. I've used a couple of methods, and had the best luck with keith's procedure, not that the other chestnut tree methods were less accurate. I think his was just easier. I put about 5K on the tires before I (correctly) rotated them. Now there is another 5K on the set, and none of the tires have extraordinary wear on the shoulder sipes, cupping, etc - nor is there wobbling, etc. in the steering at somewhat over 70 MPH - I have not taken Goldie higher, not wishing to push the drivetrain's tired bones. splatterdog's comment was probably closer to reality: "...most of us here are a frugal and handy bunch." Our front ends are about one step above a Radio Flyer's, so it seems simple enough. I cannot speak for experience with alignment shops - but my MO inspection mechanic (yes, a real wrench) has just said that it is a good thing I can take care of stuff myself, as most shops really don't want to see 25-year old cars, regardless of how sanitary they may be. It just takes a lot longer to DIY. Unless I can find a good place (last one was 50 miles away)...I would usually need to set up and appointment and wait 1-2 weeks....then sit around and wait...when the time came...then pay. When you look at the time and $ wasted...it gives the motivation to find a way to DIY. The last good place (until he retired) usually didn't mess with anything but the toe anyway...but did check the rest to be in specs. So in maybe a half hour...I can DIY...for essentially no cost. Having tested various methods I will say...it isn't easy to do it right...since you are only measuring 1/16th to 1/8th of an inch at the tread. The hanging laser is best if done carefully...basically a plumb bob with a light. The JCWhitney gauge is a flimsy setup...probably requires help to even use it right. I've gotten around 37K out of a set of tires I mounted..balanced...and aligned...maybe have 3K more in them. Now mounting the tires...that's real fun...not to mention balancing them. Why do I DIY? Well...I thought it would be easier than it is...the mounting that is. Essentially I use tire irons...with the tire changer used as a stand to hold the wheel. The bubble balancer is fun too...since I can balance the same tire/wheel 2xs and end up with the weights in different places. I have a brother who details and shows Vettes as a hobby...matching numbers....he does everything he can...but farms out anything serious. The way to go if you can swing it.